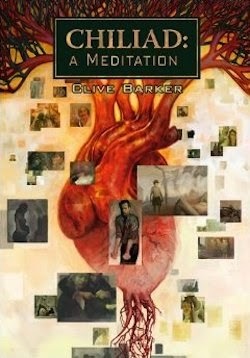 Welcome to the world of Chiliad, an astonishing two-part novella by the incomparable Clive Barker. A brilliantly composed narrative filled with unforgettable images, this visionary meditation on time, history, and human suffering is surely one of Barker's most distinctive — and distinguished — creations. Chiliad consists of two interrelated stories, stories filtered through the melancholy imagination of a narrator perched on the banks of a river that flows backward and forward through time. The first movement, 'Men and Sin,' takes place in the millennial year of 1000 AD. The second, 'A Moment at the River s Heart,' occurs exactly one thousand years — the length of a 'chiliad' — later, as the new millennium approaches. At the heart of these stories are two savage, seemingly inexplicable atrocities, each of which reaches across the centuries to reflect and connect with the other. As the narratives unfold and time becomes increasingly permeable, Barker creates a dark, sorrowful portrait of the ancient human capacity for cruelty and destruction. Writing always with lucidity and grace, he addresses a host of universal concerns, among them the power of guilt and grief, and the need to find signs of meaning in the chaos that surrounds us. In the process, he examines the endless chain of consequences that inevitably proceed from a single act of violence. At once hugely expansive and deeply personal, Chiliad is a compact masterpiece, a resonant reminder of Barker's ability to create fictional worlds that enrich and illuminate our own. 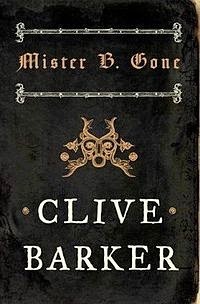 For more than twenty years, Clive Barker was terrifically prolific. During that period, a year without a new novel by the author seemed—to me at least—incomplete. Sadly, when Barker started work on the Abarat, that was that. Since the first part of the series was released in 2002 we've seen, for various reasons, just two sequels and one short novel in the form of Mister B. Gone. That may change in 2015 with the belated publication of The Scarlet Gospels: a return to Barker's beginnings by many measures. A sequel, indeed, to one of his very earliest novellas—no less than The Hellbound Heart, which found fame later when it became the basis of the film Hellraiser. Before that, though... this: an amoral meditation on humanity's spiralling history of violence which certainly whet my appetite for more from the man who helped define dark fantasy. 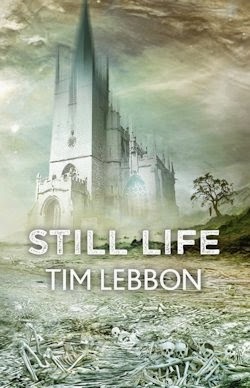 Chiliad, to be sure, is neither a novel nor new. Rather, it is an arrangement of two tales intertwined with a maudlin metatext about an author who has lost his voice, and though its relevance today remains great, both 'Men and Sin' and 'A Moment at the River's Heart' were previously published in Revelations, the Douglas E. Winter-edited anthology of short stories intended to celebrate the millennium. That said, the overarching narrative seems particularly prescient here, at this point in Barker's career. We find our unnamed narrator mid mid-life crisis, having forsaken all his old haunts and habits because of a bone-deep despair; a hateful malaise that says, to paraphrase: all he had in his life, and all he had sought to make, was worthless. But at the river, things are different. There are surprises in store in both stories; twists, if you will, but Barker, to his credit, deploys them deftly, and in the interim the two tales relate to and engage with one another in various ways. They and their characters and the violence that befalls them all are joined—at the lip, if you will—by the river. The same river that inspires the framing tale's narrator; the same river that runs through the changed landscape of his paired parables, which—though there is a thousand years between them: a chiliad, in fact—take place in the same location. The thousand years that separate the stories simply melt away in the final summation, revealing two torrid tales about the cruelty of creation; about what it gives, only to take away. As above, so below—for there is so much more to these stories. Packaged as a pair as opposed to the extended parentheses they represented in Revelations, both 'Men and Sin' and 'A Moment at the River's Heart' are given a second lease of life, and indeed death, in this terrific new edition. Hauntingly illustrated by the Mistborn trilogy's cover artist Jon Foster, whilst the author plays his own artful part perfectly, Chiliad is as cold as it is contemplative, and as cerebrally thrilling as it is viscerally chilling. I have a paperback copy of Revelations sitting on my shelf, that I bought largely because of Clive's contribution. It's been a long time, so I'd like to revisit the stories. You're right, it's been a long, painful wait for new 'classic' Barker material since he embarked on Abarat and had his near-death experience, but I have high hopes for The Scarlet Gospels.